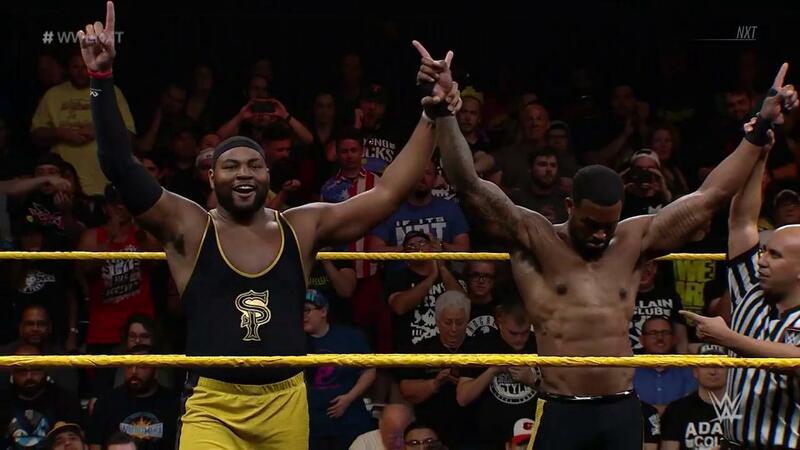 If you listened to last week's podcast, you should know our feelings about The Mixxie Boys Street Profits. Welp, tonight was the night we were all waiting for: the official NXT debut of Montez Ford and Angelo Dawkins' Street Profits team, and in typical fashion, the "sultans of swag" kept it super mixxie during their entrance. You can't front; their chemistry was there, and they showed off their skills in an easy win. After their win, Dawkins let the world know that their celebration not only happens pre-match, but it happens post-match and after the match...just in case you were wondering.